The forgotten popular songs of Manchester's industrial revolution will be brought to life in a new film by BBC 6 Music DJ Mark Radcliffe. Communal singing was part of everyday life for workers and their families around the mills and factories of Victorian Manchester, and songs were used to pass around the local news. The words for thousands of songs were printed on pieces of paper and then sold on the streets to produce what have become known as the Broadside Ballads. Mark Radcliffe has explored the archives of Manchester's Broadside Ballads – going back as far as the 1700’s - for a film to be broadcast on BBC Inside Out North West tonight. The programme features Jennifer Reid, a local historian who sings many of the songs archived at Chetham's Library in Manchester. She explains how the ballads were a rudimentary form of social media delivering information about murders, industrial action, deaths, political events as well as lighter stories of drunkenness, affairs and Whit Sunday in an age before the first newspapers, let alone telephones, radio, TV and the internet. One of the songs sung by Jennifer tells the story of Manchester's great flood in 1872 with the words: "When from the ground near Phillips park were bodies washed away... nor yet unmindful would we be those who suffered loss. But grateful that from harm we’re free, help them to bear their cross..."
Ros Edwards from Manchester Library said: “They are a wonderful social record of what happened over those years. Terrible sorts of things – all sorts of events. Political events, international events even as well as local events. They are a wonderful record of what was happening and what people thought about it." 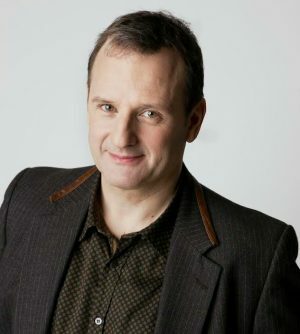 "There was no telly, there was no radio, and we were even five years off the publication of the first Manchester Guardian," says radio presenter Mark Radcliffe, who has travelled around his native Lancashire to make a film for Inside Out North West about the ballads. "But there was a kind of social media back in the 19th Century - they just didn't call it that." BBC Inside Out North West: Broadside Ballads will be broadcast tonight at 7.30pm on BBC One.